The best autonoumous solution for your light weighted application, Wanna Fly! 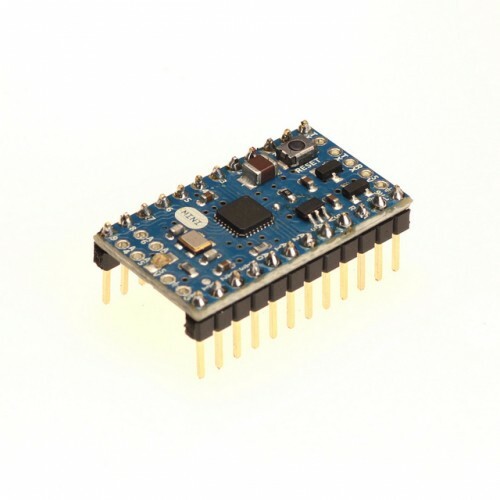 The Arduino Mini has 14 digital input/output pins (of which 6 can be used as PWM outputs), 8 analog inputs, and a 16 MHz crystal oscillator. It can be programmed with the USB Serial adapter.